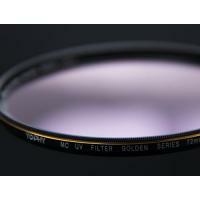 What is camera lens UV filter? 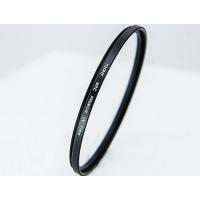 UV filter can filter out ultraviolet rays, so it is also called ultraviolet ray filter. Usually, it is colorless and transparent, but some of them appear purple or purplish red at some angles because of the anti-reflection coating. 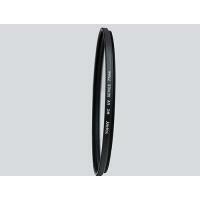 Many people buy UV filter to protect the delicate camera lens, in fact, this is only a subsidiary function for it. UV filter can weaken the blue tone caused by ultraviolet rays. At the same time, for digital cameras, it can also exclude the interference of ultraviolet to CCD, and help improve clarity and color effect. UV filter, the main function is to absorb ultraviolet light under 400 nm, and no filtering effect on other visible / invisible rays. 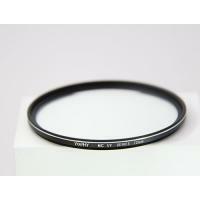 The reason why it can filter out ultraviolet is that the lenses contain lead. 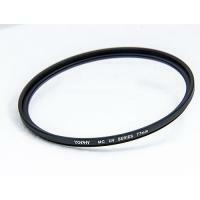 Therefore, UV filters are heavier than other lenses of the same size and thickness. 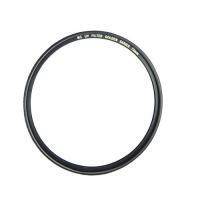 Because too much UV can affect the quality of the image, the UV filter is one of the essential items for traditional photographer. 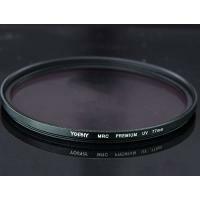 YOPHY MC UV filters are made of high definition of optical glass with double sided Nano coating technology, they have super ultra thin frame and super high transmittance. 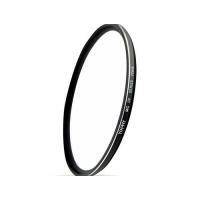 Take 77mm UV filter as an sample, it is made of AGC optical glass nad aviation aluminum alloy; its frame thickness is about 5.2mm, its lens thickness is about 1.1-2.4mm; its unit weight is about 26g, easy to catch for everyone. 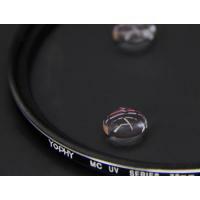 With double multi nano coating, YOPHY UV filters can protect camera lens and filter out unwanted ultraviolet light. 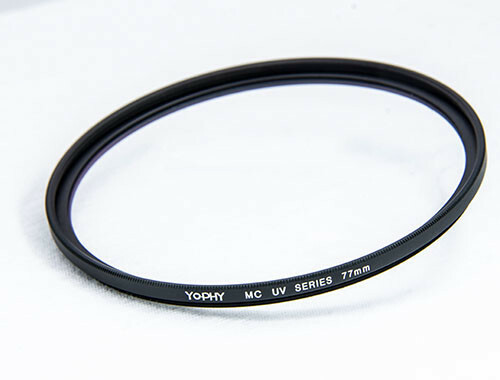 YOPHY MC UV filters will be your wonderful choice with its function of waterproof, oilproof and anti-scratch. UPS etc..If you want to use your own ship agent, it is okay. All to cater for your needs. Welcome to consult to negotiate. 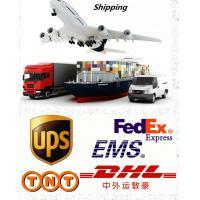 For technical support, please send your inquiry directly to us. Our company, Chengdu Yafei Optical Instrument factory, is located in optical base and giant panda base of Shuangliu district, Chengdu, Sichuan province with a comfortable environment. It is only 10 minutes away from Shuangliu Airport so that the transportation is very convenient; surrounded by many logistics parks so that our logistics network is unimpeded and the goods transportation is timely and fast. Mr. Zhang Yongdong, the founder of our company, attended the Changchun Institute of Optics and Fine Mechanics (the present name is Changchun University of Science and Technology) between 1997-2001. After graduation, Mr. Zhang worked in the Institute of Optoelectronic Technology, Chinese Academy of Sciences, Chengdu. With 8 years experiences of optical system design, Mr. Zhang is very proficient in many kinds of optical system path design. Meanwhile, Mr. Zhang has very strong technical skills and means on precision structure design of related optical system, fabrication process of optical technology, precision machining, optical thin film technology and mechanical surface treatment process, etc.. Since founding of our company in 2009，we has won the recognition and reward of Shuangliu district government for 3 years, they are: two consecutive years “Outstanding Start-up Enterprise” awards between 2011-2012 and the award of "Advanced Unit" in 2013. Since founding, Chengdu Yafei Optical Instrument factory long-term persists in developing and producing various photographic equipment by means of technological innovation and adheres to the concept of "Honesty, Steadfast and enterprising, Exploitation and innovation, Leading brand" and the development direction of "People-oriented, Technological innovation". Our company long-held adheres to "The only" product line to develop "The only" products for giving extended consumers the distinctive inspiration of "Photo Art Creation". 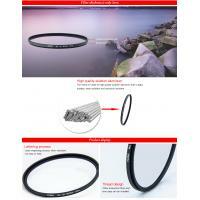 Thus our company founded the YOPHY Yafei brand and the main product is our company own patent product ZASHN filter. With YOPHY Yafei ZASHN filter, you can find that in different time periods, different filter angle, different light position and intensity, will get different photo effects. With YOPHY Yafei ZASHN filter, you will find special effects photography is no longer only belongs to those great photographer, everyone could be a super master of photography world, which makes your photography hobby become a photographic and creative habit; with YOPHY Yafei ZASHN filter, every picture you take will be "The only" picture in the world, because the unique creation time, the unique filter position, the unique light compensation intensity and direction make your photos are unique. There is no doubt that "The only" is YOPHY Yafei ZASHN filter's unique property. With YOPHY Yafei filter, your journey will be no longer boring, your pictures will be no longer single; with YOPHY Yafei filter means you start to hug the art, also means you start the creation of beauty. 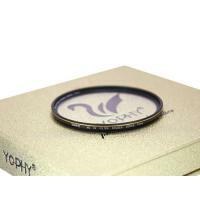 There are hundreds of specifications and models for YOPHY Yafei ZASHN filter, they will provide you with all kinds of imagination and creative space. At the same time, our company also developed high end close-up lens series products with its composite mirror optical path structure, advanced achromatic design, perfect imaging quality and exquisite manufacturing process, will show you more perfect target details during the filming. Close to "her", close to different beauty; close to "her", close to different visual feast! Apparently，YOPHY Yafei photography makes your photography infinitely possible! 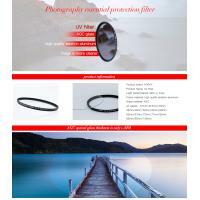 Our company also provides various kinds of photographic products, such as UV filter, L37UV filter, L41UV filter, IR-CUT filter, HD CPL filter, ND filter, adjustable ND filter, natural night filter, all kinds of square filter, mobile phone wide angle lens, mobile phone close-up filter, mobile phone filter, aerial ND filter, aerial star filter, and aerial ND-PL filter, etc..The matching product frames have high quality aluminum alloy, titanium alloy, copper, magnesium aluminum alloy, etc..Our technical team master all kinds of special manufacturing process and metal surface treatment process to make the products are diversified. YOPHY Yafei makes your choice is endless and makes your photography ways are distinctive. We have super strength in R & D and constantly innovation. Maybe you can't imagine, but we can do it! Our company warmly welcomes technical exchanges of like-minded people to discuss together. Let’s use camera to record every moment of us and every beautiful picture around us so that beauty will no longer slip away from us!